A fancy pink diamond weighing 5.03 carats sold for £2,228,750 ($2,935,263) at Bonhams London Fine Jewellery sale last week – raking in $583,551 per carat. 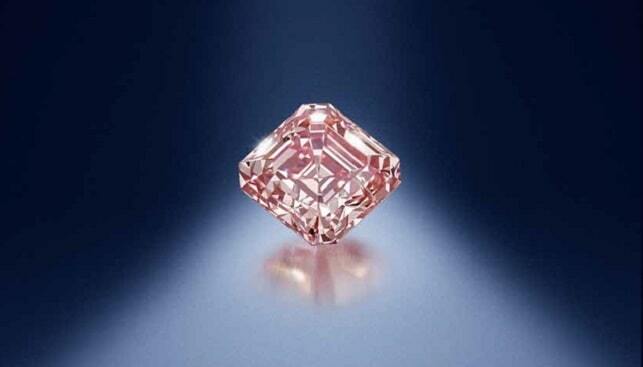 According to Bonhams, this is a new auction world record for a Fancy Pink diamond per carat. According to Emily Barber, Director of Jewellery at Bonhams UK, the diamond achieved the price due to a number of factors: “its size – it’s exceptionally rare to see a pink over five carats on the market today; its even colour saturation and its extraordinarily elegant cut”. Other notable items included a fancy colored diamond three-stone ring from 1910, which sold for £168,750 (about $220,000); an emerald and diamond necklace, bracelet, earring and ring suit by Chatila, sold for £656,750 (about $855,000); and a ruby and diamond ring by Bulgari, weighing 3.28 carats, sold for £242,750 ($319,701). Overall, Bonhams raked in £6,936,250 (about $9 million) with 89% of the lots sold by value.